Personality Plus!Restored & Remodeled Farm House on 10 Scenic acres with stocked fishing lake/fountain/covered shelter & dock! 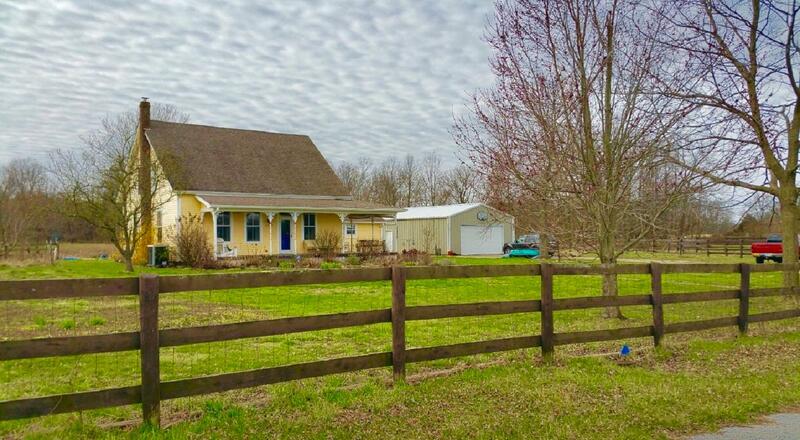 Barn w/4 horse stalls,some fencing,det garage & woods to rear. Wraparound Porch & Sunroom off Master BR. Exterior siding coated with Rhino Shield Ceramic-25 yr warranty. Open Living/Dining Room, Jotul Wood stove w/grill.